Torino Porta Nuova is the main railway station of Turin and the third in Italy for passenger flow after Roma Termini and Milano Centrale. It is situated in Corso Vittorio Emanuele II near piazza Carlo Felice. 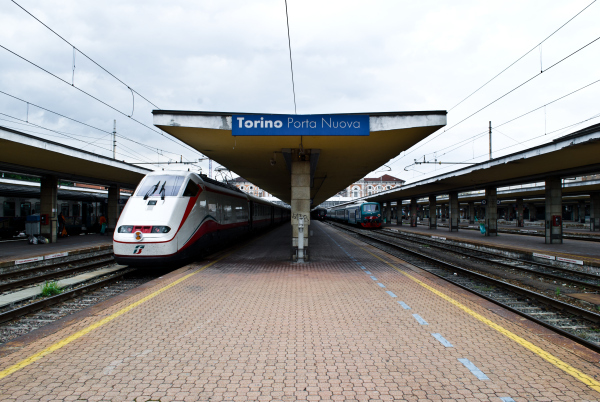 Torino Porta Nuova is a terminal station and offers some of main national lines, regional and interregional lines. It is also a terminus of the national TAV high speed rail to Milan, Bologna, Florence, Rome, Naples and Salerno. Currently it doesn’t offer any international lines. The station is managed by Rete Ferroviaria Italiana (RFI) and commercial area for passengers is managed by Grandi Stazioni. Inside station there is a mall. Torino Porta Nuova Railway Station offers several services for passenger: newsagents, pharmacy, food outlets, ATMs, parking, luggage storage and a bike-sharing service. Torino Porta Nuova is also the central hub of Turin Subway (Fermi-Lingotto). It’s possible to reach the Torino-Caselle airport via the shuttle bus service Caselle Express without intermediate stops. 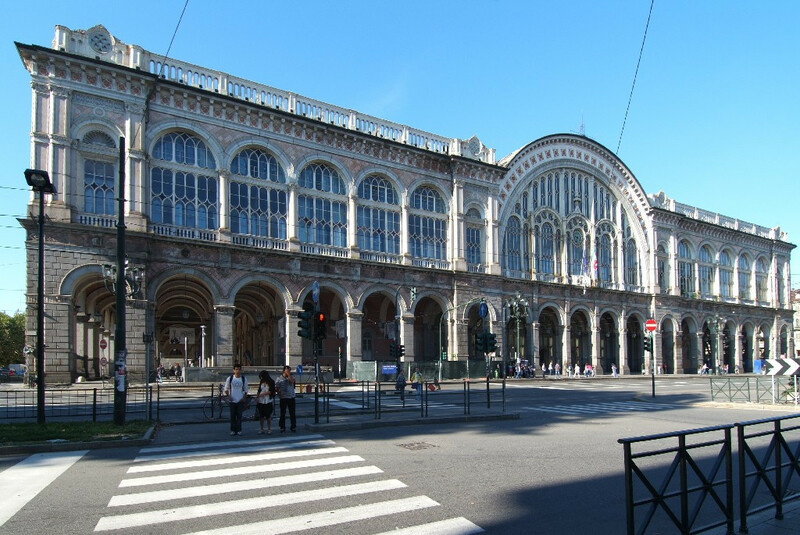 From Torino Porta Nuova Railway Station the following museums are easy reach: Egyptian Museum, national museum of Cinema and Regional Museum of Natural History. The Mole Antonelliana, which houses the National Museum of Cinema, is within walking distance (about 20 minutes) or bus 61 (up to Via Po) and 68 (up to Via Rossini). Other tourist destinations are easily reached: Piazza Castello and Palazzo Reale, Palazzo Madama and the Museum of Ancient Art, the Cathedral of St. John and the Holy Shroud, Castle and Valentino Park, the GAM museum and Venaria Reale.